We’re all aware about the vast scale of problems we face; from climate change and pollution, to unhealthy lifestyles and unhappy societies. We want to help, but sometimes feel overwhelmed and powerless, as though our individual decisions seem too insignificant to make a big enough difference. Myko’s philosophy believes otherwise: that we have the power to make impactful collective change. WHY WOULD I CHANGE ? In nature, “Myco” is a bio-indicator that reflects the health of the entire ecosystem. 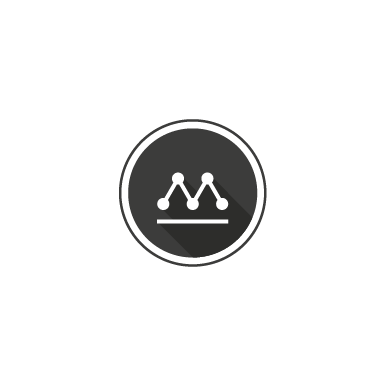 The Myko app aims to do the same thing for communities as you improve your own sustainability. Learn about the environmental and social issues within eight categories of sustainability, and enjoy feedback, tips and a real-time score that measures and monitors the environmental and social impacts of your daily choices. By making changes in our individual habits, collectively we can change the world. Myko is more than an app: it’s a philosophy, and an engaging path towards a more sustainable lifestyle. Myko’s purpose is to empower everyone to make decisions through their own actions, to collectively improve the state of our environment and communities and to truly make an impact on the world we live in. The impactful habits you can adopt are separated into eight categories: Energy, Transportation, Food, Social, Waste, Water, Health, and Consumption. Each category is represented by a progression tree and includes facts and tips on how you can plant your seed and watch your tree grow. Myko is more than an app: it’s a philosophy, and an engaging path towards a more sustainable lifestyle. Myko’s purpose is to empower everyone to make decisions to collectively improve the state of our environment and communities, so that collectively we can change the world. The Myko app aims to do the same thing for communities. As you improve your own sustainability, you will see your own Myko ecosystem grow and thrive. Myko informs users about the environmental and social issues within eight categories of sustainability, while providing feedback, tips and a real-time score that measures and monitors the environmental and social impacts of your daily choices. Your progress and impacts are tracked through daily, weekly, monthly and all time scores, and you can compete with your friends for a place on the leaderboard. Myko’s Greenwall feature allows for users to connect to share thoughts, events, groups and sustainability initiatives happening all over campus, while strengthening your sustainable community. 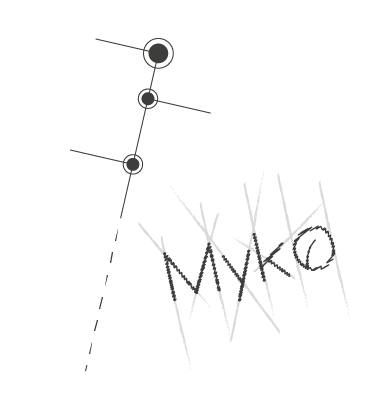 Want to get more information about Myko and his evolution ? Subscribe to our newsletter and get the latest news, latest versions and even more! Myko’s seed was first planted by a simple experiment ran by a team of students and professors at McGill University. The experiment proved that citizens would act in measurably more sustainable ways when they are presented with the impacts of their habits and decisions in close to real time. This led to the creation of the Myko app, for users to monitor their decisions, track their progress and chose to make impactful change. Myko’s work and commitment towards building stronger, more sustainable communities has been recognized by the Canadian Wireless Telecommunications Association with the honor of The 2015 Connected to the Community Award for the use of wireless technologies to improve the lives of Canadians. We hope that someday this spreads to improve the lives of everyone, and that collectively we will change the world.